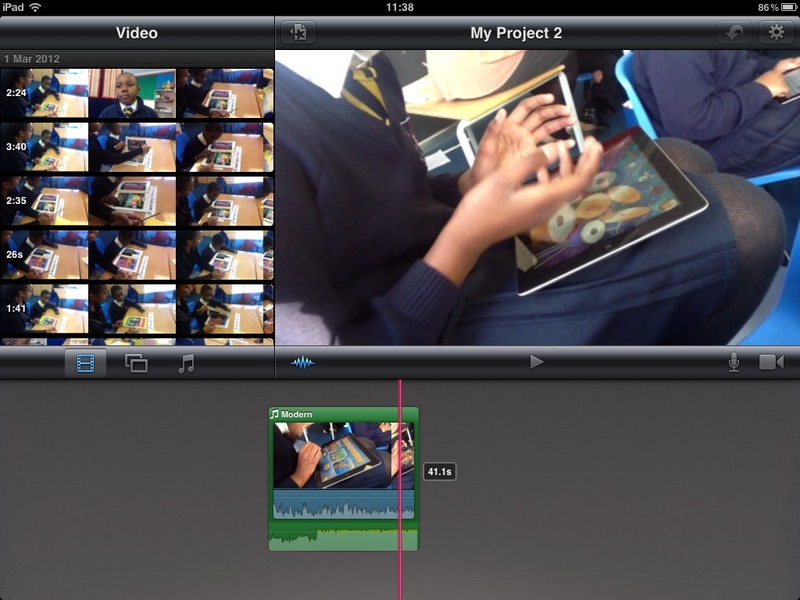 Classroom Collaboration – what you can try straight away! Classroom collaboration was cited as one of the key reasons to begin using technology in the classroom in a recent (and quick) question and answer session…. There are many, many ways to get your pupils to collaborate more, and obviously using tech is only one strand of this. From role play, drama, team games and problem solving; once you get your pupils used to the different roles and the collaborative techniques of listening and working together it all becomes so much easier. How then can digital technology help? An incredibly effective way to get collaboration is through a classroom (or school) blog. If the school is reluctant to get involved with this there are plenty of ways that you, as a class teacher, could get involved. It is very simple to start a blog through a free service such as blogger – and then use it in class to get children to collaborate on ideas such as storytelling or problem solving. Children can add their contributions in the classroom. A side effect of collaboration is that there will always be some children that are not heard, or who dot get to contribute. Programmes which allow for pupils to get involved without standing up in front of their classmates, or even saying anything, can be useful. This example from educationismylife.com . A simple idea is Padlet – and I’ve mentioned this lots on the site already – Padlet allows you to create a very quick whiteboard space which can be added to by clicking. 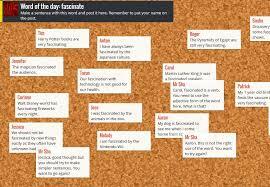 You could set up a Padlet during a lesson with a question -and leave it on the computer for them to contribute to. For example – different ways to start a story, or solutions to maths questions. Using that Padlet’s code they can also contribute from home or through a different device in the classroom. I have already shared several examples of this – this post here looks at the use of Padlet for questioning. However it has many uses – and even more so if you have a classroom blog which can be accessed from home- groups can work on Padlets for different concepts, science planning and questioning for example. You can even password protect the Padlet so only children from your class can contribute. The use is limitless – and a great way to get contributions from your pupils. Popplet is another collaborative tool – allowing the group discussions to be contributed to, and accessed by anyone with the code for that popplet. It is also an app, and a website -so again if you have more devices in class the children can contribute as they see fit. I have used this versatile tool when story planning, allowing children to take their story off in different branches whilst we watched on the whiteboard. Again – I have written about Popplet before – and their are many examples of it’s use to be found! These apps are all incredibly easy to get started with and easily share the work within the tablet systems. But computers and laptops can be just as good for collaboration: Google Drive is another great way for pupils to contribute – registering your class as a user (either with a class email, or a temporary made up one) and when the pupils log in they can all share work and contribute to it. Of course, if the infrastructure is there you could register indiviuals in order to better control their work. This presentation has lots of ways to get you started! Online apps such as Scratch also allow for collaboration – saving the class work, (or your example) on there lets the children take what you have created and then ‘tinker’ – indeed improving and debugging forms part of the KS2 computing curriculum anyway and Scratch is a perfect way of doing that. Just getting started with collaboraton can be tough in a primary classroom – it will only work if children are aware of the point of the collaboration and the behaviours expected! Begin by giving roles – for example within a science lesson you might have a ‘recorder’ ‘analyst’ ‘equipment manager. Demonstrate and be a role model for how you expect the groups to work -e.g. you might have to take part as a member of a group and then refer to the class for solutions when problems arise. An example might be a maths puzzle – one person may be the ‘accuracy checker’ – and then ask teh class what happens if you find a mistake? What should you do? In the beginning have a tight hold on the technology – for example a blog where each group is to record their end result – model how you expect it to be used. Then ‘loosen up’ – once the children are aware of the different tools at their disposal let them choose – for example how they present their art project is up to them – and the key is that they don’t have to make use of any digital technology at all! I hope this helps – other common uses for technology came out of the twitter chat, and I’ll explore those later! Thanks for reading – feel free to comment! Posted by RS on September 6, 2014 in Apps, Curriculum, iPad, Teaching and Learning and tagged classroom, collaboration, edtech, NQT.